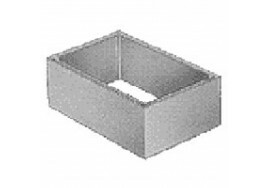 With a large range of sizes, these precast concrete inspection chambers can be used for most domestic applications. All units are sulphate resistant and come with a tongue and grooved detail. This allows for easy placment and is suitable to receive a recommended sealant or bedding mortar.